Faro is a warrior city. Plundered by marauders and shattered by earthquakes in ancient times, the city managed to survive the devastation and emerge as one of the most alluring cities in Portugal. Faro is the capital of the Algarve Region, and home to about 67,000 people. Attractions include the Ria Formosa, Old Town and the Museu Arqueológico. Feel history tug at your sleeves and be seduced by the warm charm of Portugal with cheap flights to Faro. Faro is home to Faro Airport (FAO), which is a 10-minute drive from the city centre. Marvel at Roman mosaics at the Museu Arqueológico, fawn over contemporary Portuguese art at the Galeria de Arte Trem, or discover local delicacies such as camarão piripiri in Old Town. 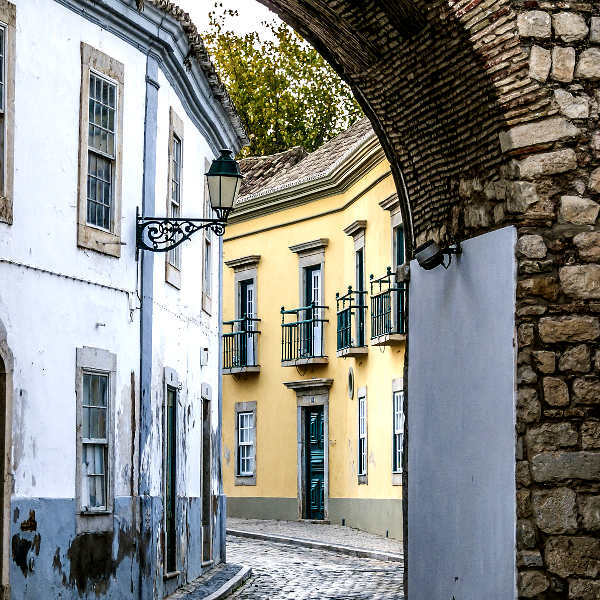 Faro is an extraordinary tapestry of cobbled streets, ancient façades and aged structures that have resisted time, marauding Spaniards and devastating natural disasters. Follow whisperings of ancient times through Faro. 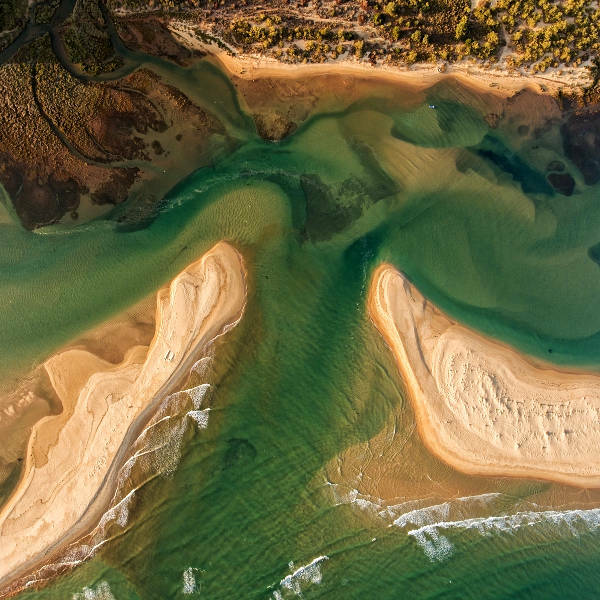 Ria Formosa surrounds Faro, creating a canvas of moss and juniper saltwater lagoons that snake between mudflats dotted with flamingos and other wild creatures. Natural beauty is beautiful and bountiful. Faro experiences a hot Mediterranean climate, with temperatures ranging from 29 degrees Celsius in summer to 3 degrees Celsius in winter. Summers are hot and dry, while winters are wet and mild. Summer (June to September) is high season in Faro. Days are hot and sunshine is plentiful, with temperatures ranging between 20 degrees Celsius to 30 degrees Celsius. Summer is a great time to visit if you want to explore the Algarve region and partake in outdoor activities. Autumn (October to November) and spring (March to May) are great times to visit if you want to experience the balmy Portuguese climate and everything the city has to offer without the summer crowds. Temperatures dip and rainfall increases during winter (December to February). For cheap flights to Faro the best months to visit are from December to March. Situated on the lagoon laced southern edge of Portugal, the city of Faro remains hidden and relatively untouched by mass tourism. It is a city that revels in its obscurity and wears its pride on its sleeve. Ancient history has carved itself into Moorish archways and chiselled into 9th century walls, relics from ancient times. The city invites you to wander along its cobbled streets and delve into its fascinating and colourful history. Faro is a warrior city that hides its beauty beneath a rugged patchwork of aged structures that have survived time and devastating natural disasters. But it lives on, unwavering in its strength. Explore 19th century architecture in Old Town, marvel at the spectacular Baroque stylings of Igreja do Carmo or brave the eerie confines of Capela dos ossos, a chapel made of bones. Faro offers a treasure trove of cultural curiosities and historical gems. It is a city that blazes on and continues to seduce those who wander through its streets. Compare multiple airlines and book cheap flights to Faro with Travelstart! Faro is considered relatively safe. However, as it is with any major cities, crime does happen. It is advisable to take certain precautions and maintain vigilance as you would in any other unfamiliar city. Travel insurance to cover theft and medical expenses is highly recommended. Avoid public demonstrations and rallies. Avoid carrying large sums of cash and important documents, and remain extra vigilant amongst large crowds, as pick-pocketing and bag snatching can happen. Be vigilant at bars and clubs and avoid walking around alone at night. The Algarve Region is at risk for natural disasters such as earthquakes. Follow emergency and news channels for updates and emergency protocols in the event of an earthquake. Avoid sunburn and heat stroke by using sunscreen with a high SPF and drinking plenty of water. Bottled water is recommended.